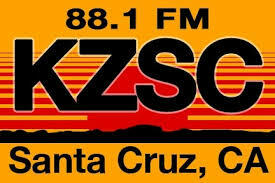 Father and Son, Scott and Chris McGilvray spoke with Nada Miljkovic about their newest film, Water for Santa Cruz! Scott is a water conservationist expert, educator, and has a company, Water Aware, that is dedicated to reducing your water consumption. Chris is a co-owner of the film company Six Finger Films. Water for Santa Cruz! is an educational and inspirational film that explores our local water sources and interviews local water experts about three specific steps to water security as alternatives to the proposed Desalination Plant. Water for Santa Cruz! premieres July 11 at 7:30pm at the Rio Theatre. The event also includes musical performances by Steve Newman’s Kitchen Jazz, Gail Swain, Michael Levy, and Russell Brutsche and several other short documentaries. 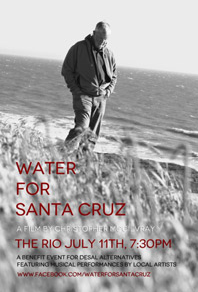 Here’s the trailer for Water for Santa Cruz!